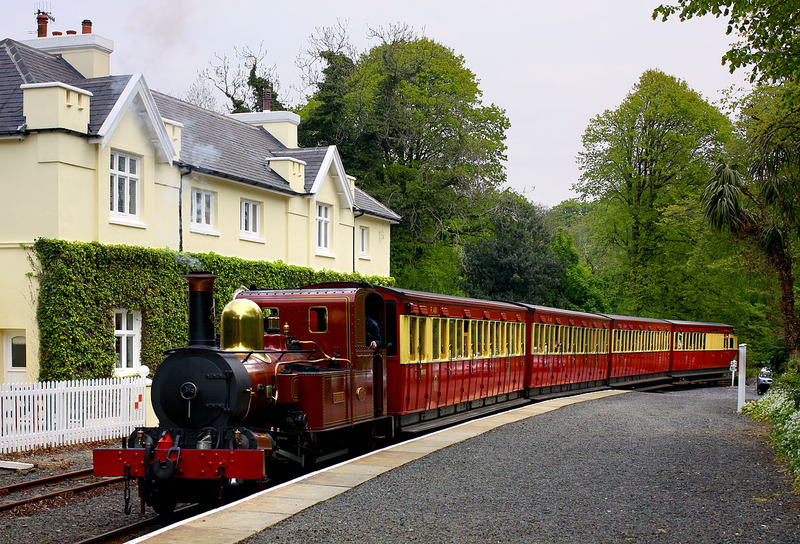 The Isle of Man Steam Railway's 2-4-0T No.8 Fenella arrives at Port Soderick station on 12 May 2017 with the 11:50 Douglas to Port Erin service. The train stopped briefly, but no passengers either joined or alighted. In fact apart from us two photographers, there seemed to be nobody in the vicinity at all. Fenella is now the only working loco of the original smaller engines.